Sometimes a beautiful view can really take your breath away and now you can capture the world’s greatest images on your own with the range of digital cameras from Nikon. It’s so easy and fun to take shots in stunning detail. Nikon have a great range of digital cameras at affordable prices, such as the Coolpix 2100 & 3100, the Coolpix SQ and the Coolpix 4300. 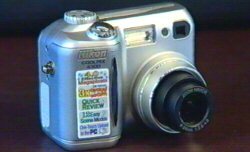 The Nikon Coolpix 2100 and the 3100 are basically the same camera, but the 2100 has 2 million effective pixels and the 3100 has 3 million effective pixels. 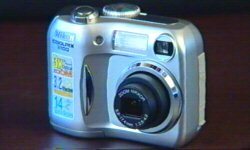 Even if you’re using a digital camera for the first time, this is a very friendly and versatile camera guaranteed to give you more fun out of digital photography. Best of all, the Coolpix 2100’s compact and lightweight so you can take it anywhere you like. If you really want to get creative, the Coolpix 3100 offers a wide range of functions. The Panorama Assist mode allows you to take several side-by-side images all at the same exposure and white balance setting, and then combine them later using the supplied photo editing software to create spectacular wide-vista images. The creative opportunities are endless with the free-angle swivel lens plus the camera’s exclusively developed features achieve accurate and vibrant colour reproduction. The Nikon Coolpix 4300 gives stunningly crisp, colourful images and lets you record up to 35 seconds with audio. With its 3x optical zoom-Nikon lens and 4.0 million effective pixels, it combines to give you sharp, vivid images in living colour from breathtaking open landscapes to fabulous close-up photography. The Coolpix 4300’s compact, lightweight design makes for a camera that goes anywhere and transferring images from your camera to your computer is one-button easy, letting you share with family and friends sooner. So before you take a look at a fantastic view, take a look at the Nikon range of digital cameras at your nearest Camera House store.